What a pleasure to dive into the wines from a favourite producer. 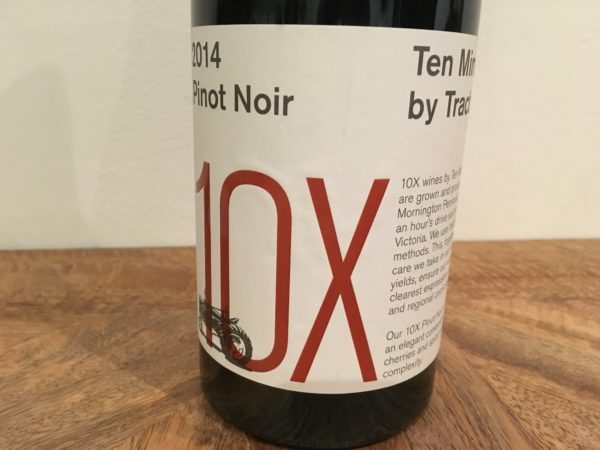 Just lust week it was the 2014 10X Chardonnay that inspired (with the Sauv Blanc one step behind), and now it is two Pinot mutations – Noir and Gris – from Ten Minutes by Tractor that made a mark. Immediately this looks much more lithe and fresh than the slightly baked ’13 Estate Pinot. Two very different vintages on show. Fully destemmed and wild fermented, this spends 10.5 (detail is always a strong point at Ten Minutes By Tractor) months in18% new oak. Lots of bright red fruit here, in the glace cherry and raspberry spectrum, before a palate that is much more structured than the nose suggests. It’s ripe, but the bittersweet edge to the tannins keeps everything in check. Mid weight, yet sufficiently powerful, in a juicy-but-serious ripe style. Warmish finish perhaps? Lots to like about this regardless. Best drinking: 2016-2021. 17.7/20, 92/100. 13.5%, $32. Would I buy it? Sure would. I can’t understand how the Chardonnay is not line priced with this Gris. Curious. Demand-driven perhaps? This is immediately more yellow than either the Chardonnay or the Sauvignon Blanc, and looks the richest of the lot. Indeed, the nose is more about a slightly reductive sulphide character than pure varietal punch, and backed with a viscous and really quite plump, full palate. Assured winemaking, as ever. It tastes of peach, and peach skins, with the flavours bouncing between thicker peach juice and then back to a tighter finish. It’s a form that takes inspiration more from Alsace than somewhere in the Veneto, with a texture that is both inviting and yet not overt. Works too. 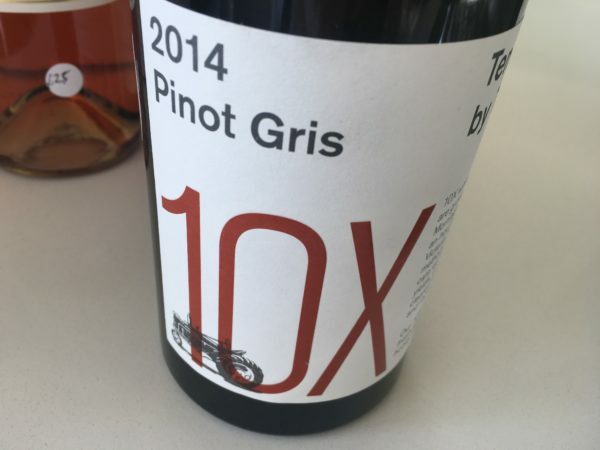 A standout Australian Gris. Best drinking: 2016-2019. 18/20, 93/100. 13.5%, $28. Would I buy it? Absolutely.